Nettl :brand design, logo and creative design. We can plan, design, and print your campaign and brand identity. Our brand stylists and designers will enhance your identity to take your business to the next level. Great brand design needn’t cost the earth. But bad brand design costs more than you might think. Your brand identity is what your customers will judge their first impression on. If they don’t think you look professional or relevant, they will move on to the next company. Your logo and identity are the most important aspects of your business to get right and looking great. It is more costly to your business if you settle for bad brand design, than if you spent a decent amount of your budget on getting your brand identity to look professional and trust worthy. Our graphic designers and brand stylists work on hundreds of projects every year for local businesses. 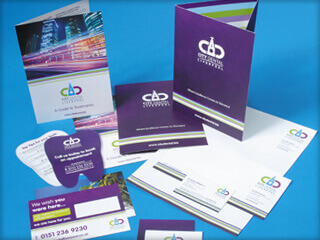 We design elegant stationery and powerful promotional material. From a business card to a brochure. From a little logo, right through to a full brand identity and joined-up campaign. Does your brand need a refresh? We think you’ll find our approach, er, refreshing. Drop by, tell us what you’re thinking and we’ll unleash our creative beast. If you operate a multi-site business or want our team to adhere to your brand design guidelines, we’ll even set up an intuitive template-based online system for frequent reorders. Ask us for a demo.